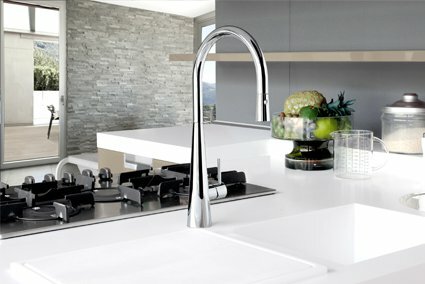 The Italian made sink mixer range comprises of six uniquely styled and constructed tap combinations. The entire range brings together a clever collaboration of bold straight lines with subtle curvature, creating the ultimate modern kitchen look. The three styles, Elias, Giacomo and Aria all come with the added option of a pull down nozzle for easier reach, and superior cleaning capabilities. 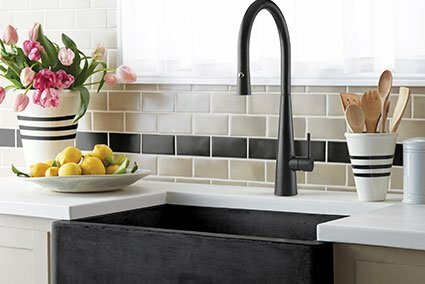 With the kitchen becoming the entertaining hub for family and friends, a beautiful and easy to use tap in a necessity in any stylish modern kitchen. 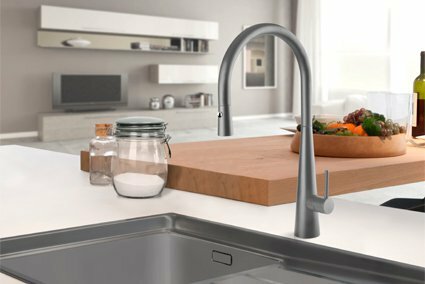 The tall spouts on each tap ensure there is no squeezing or twisting trying to access water with dishes or bottles. 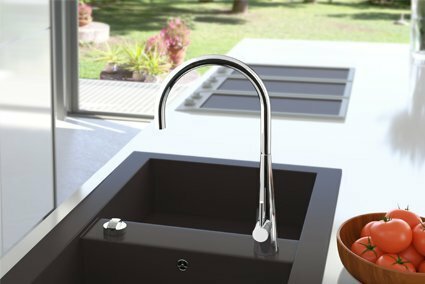 The Italian sink mixer range works beautifully as a stand-out feature on a new kitchen bench or installed seamlessly with your existing kitchen. Each solid nozzle tap in the range has a WELS rating of 5-star, however with the added pull down accessory the rating reaches the highest WELS offers, 6-stars. The entire range comes with an unbeatable twenty five year satisfaction guaranteed warranty, letting you rest easy knowing Linsol are standing firmly behind the style and quality of their product.